Martek | SHOWEAST concludes and congratulations to Phil Rafnson! SHOWEAST concludes and congratulations to Phil Rafnson! Derek Galloway (Martek’s Managing Director) and Kirsty Carnell (Head of Marketing) have just returned from exhibiting at yet another fast-paced and informative ShowEast in Miami. 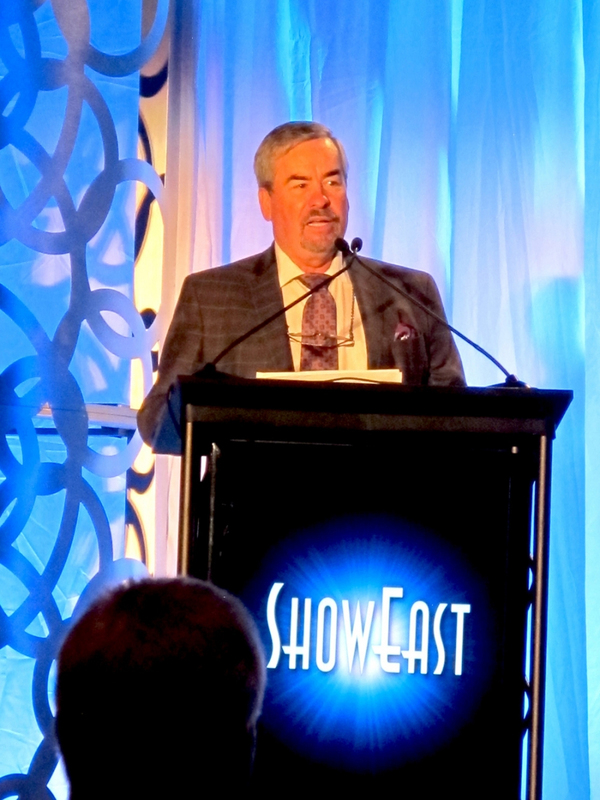 Congratulations to Phil Rafnson, friend of Martek and chairman of Moving iMage Technologies (MiT) on being awarded the ShowEast Achievement Award. Phil has been in the industry for over 40 years and has been a driving force in cinema equipment developments. To honour his achievements, ShowEast presented Mr. Rafnson with a “Special Award of Achievement” at this year’s annual show in Hollywood, Florida. Cinema Exhibition professionals visit ShowEast for exciting film screenings of major studio and independent feature films slated for holiday release as well as product reel presentations, exciting special events with Hollywood’s hottest stars, educational seminars and to find the latest products, services and technologies at the trade show.